Technology has caused declines in newspaper revenues like those of which haven’t been seen in decades. With so many people going mobile and advertisers following suit, printed media has taken a hard hit. Many people are discussing how much longer newspapers will be around; the consensus isn’t good. However, as technology caused much of the decline; technology is also playing a part in the rejuvenation of the printed word. Business Week, Fortune, USA Today and Los Angeles Times, are just a few of the printed media sources that have had to cut their staff size due to declining revenues. The Christian Science Monitor completely dropped their printed publication; they are strictly on-line now. In 2008, printed media saw a drop in advertising revenue that was the worst for the industry since the Great Depression; the 2009 statistics showed another 28 percent drop. In a four year period, advertising revenues for newspapers have fallen over 47 percent. Many news papers, like the Wall Street Journal and London Times, are starting to charge users for online access, and mobile Apps, in an effort to make up for some of the lost revenue. Their mentality and approach to the problem has to change; printed media and online media are two different animals; it’s a completely different user experience. Now some of those newspaper and magazine publishers are starting to get the right idea; make the technology work for you. 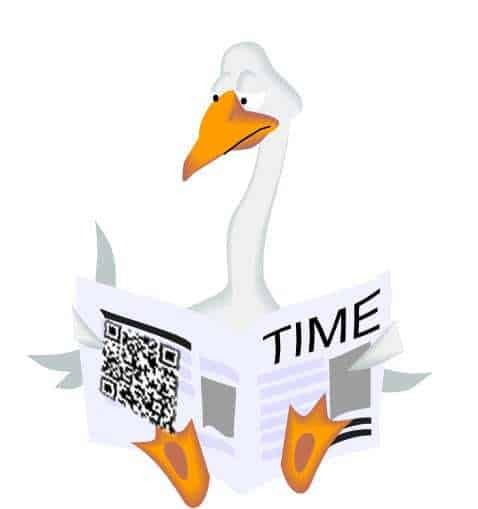 They are starting to utilize Social Media outlets and new advertising methods such as QR Codes, to get people involved in their publications again. As the popularity of QR Codes takes off, the newspapers that start using them now will have a significant advantage over the ones that aren’t using them yet. Many businesses will most likely be using QR Codes as ads in the printed media, as well as, in the virtual world. This could give paper and magazines a significant boost.